Why search All Databases on the Web of Science platform? A topic search at the All Databases level helps you discover content in formats and document types across all content sets. 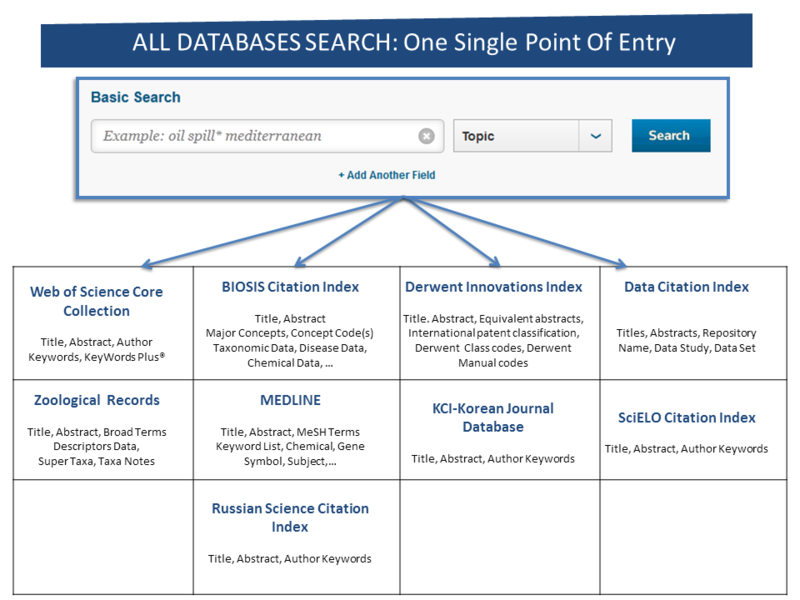 You may already be familiar with searching Medline for journal content, but imagine expanding that search to include conference papers, patent data, datasets and data studies, books, etc. 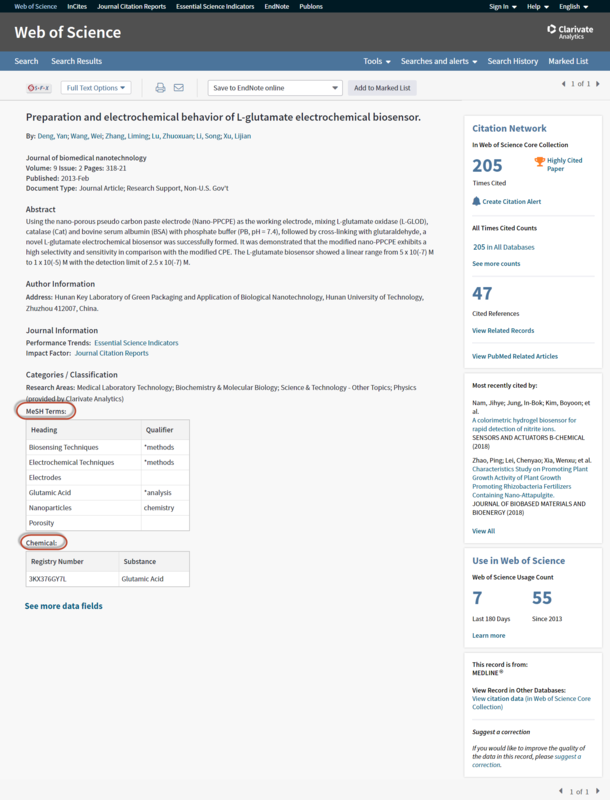 Also, in cases where there is overlap between databases on the Web of Science platform--let's say the same article is indexed in Web of Science Core Collection, Medline, and BIOSIS Citation Index--a search at the All Databases level provides additional value by letting you quickly access the article's metadata from each of those databases on the platform. See the next section Super Record for more details. 1. It lets you know there is additional metadata available for an article (based on your institution's entitlements). 2. It lets you view that metadata without having to search each specific database on the platform. I see all the authors listed on the paper and the authors' affiliations. I am able to see funding data, if available. Since my institution's entitlement also includes Medline, I can see in the the right sidebar if this paper is also indexed in Medline, and that is, indeed, the case. Clicking on "View medical data (in MEDLINE)" lets me switch to the Medline record for this article and I can now see this paper's MeSH Terms. A topic search at the All Databases level also lets you take advantage of the specialized indexing systems of each specific resource (think MeSH Terms in Medline, Taxonomic Data in BIOSIS, Class and Manual codes in Derwent etc.) without having to be an expert in those indexing systems. 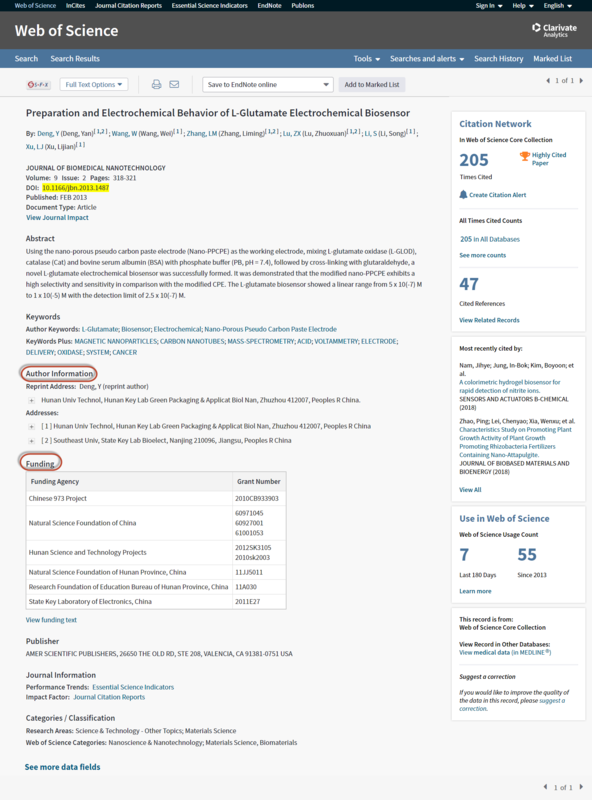 This is possible because Clarivate Analytics staff have mapped the specialized vocabularies from each of the different classification systems onto a common indexing backbone called Research Areas, which are broadly based on Web of Science Core Collection / Journal Citation Report classifications. After a topic search at the All Databases level, you can refine by Research Areas and focus on content you are interested in without having to know the specialized vocabularies of each indexing system. 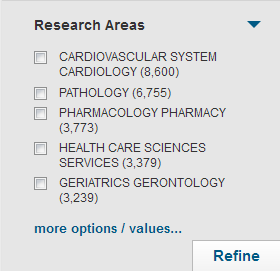 For example, a topic search for "heart attack" pulls up more than 16,000 records, and if I refine by "Pathology" under Research Areas, I can go to those documents without having to know the specific MeSH terms those documents were indexed by. 1. Access Web of Science from your library’s electronic resources page. 2. 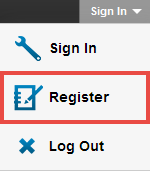 Create a sign-in for Web of Science (top right corner of the landing page). Roaming access is 6 months. Sign in onsite to refresh roaming access for another 6 month period. 3. Sign up for live web-based training. Register for a class and walk through our products with an expert trainer. 4. Watch our video tutorials on YouTube. This playlist of short videos from our YouTube channel walks you through key features on the Web of Science platform. 5. Use the tabs at the top of this guide to explore each database on the platform in more detail. Professor Sir Andy Haines of the London School of Hygiene and Tropical Medicine is studying how climate change impacts nutrition by altering the quantity and quality of crops that are growing around the world. To do this, Professor Haines and his team are conducting a systematic review of research from databases such as CAB Abstracts, Medline and Web of Science Core Collection–all of which are part of the larger Web of Science Discovery Platform. Join us in the first installment of a new video series which dives into the key challenges in research today. Watch the video on searching all databases on the Web of Science platform. Search the Web of Science like a master. The All Times Cited Count comes from these six sources. Journal Submission Process Find out more about how journals are selected and how to recommend a title. Web of Science Release Notes Stay up to date on the latest developments in the Web of Science.